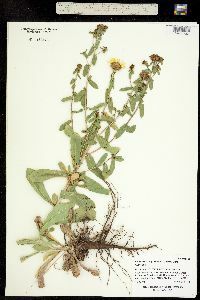 Locality: USA, Colorado, Boulder, South Boulder Foothills, south of water tank. Habitat: Open ponderosa pine forest with Rhus aromatica, Opuntia, and mixed grasses. Occurrence Remarks: Yellow ray flrs.